The Vudu Spark, like other, similar dongles from Google and Amazon, is a $25 Wi-Fi-equipped USB device you plug into your HDTV. Using it, you can rent, purchase, and watch any of the movies or TV shows available through the Vudu service. 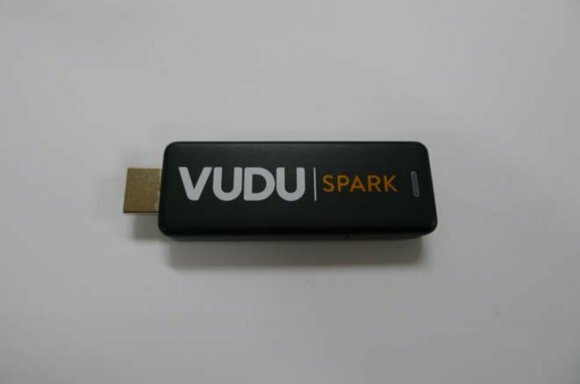 The Vudu Spark surfaced in the FCC’s online database back in November, so its release isn’t a complete surprise. Citing a Walmart spokesperson, GigaOm also reports that the Vudu Spark is available in about 2400 Walmart stores. The story behind the story: Walmart acquired Vudu in 2010 in order to compete with video streaming services such as Netflix and Amazon. In the years since, the line between retailers and hardware makers have blurred, what with Amazon’s continued push into consumer electronics and Google getting more into the gadget act. Can Walmart help little media streamers go big? If anything, the Vudu Spark’s release is another sign that it isn’t enough to just provide an online storefront—you need to give TV lovers an easy–and affordable—way to watch the media you sell on their big-screen TVs. And with their easy setup and rock-bottom prices, the current generation of USB streamer dongles seems to be the way to go. Walmart seems uniquely qualified to get the booming streamer dongle market an added boost, too, thanks in big part to its devotion to low prices. Sure enough, at $25, the Vudu Spark is $10 less than the Chromecast ($35) and $15 less than the Fire TV Stick ($40). Meanwhile, Roku’s Streaming Stick retails around $50 and Microsoft’s Miracast will cost you around $60. All of those are fairly inexpensive, but $25 moves streaming dongles solidly into the impulse-buy range.